Doormatic Garage Doors' Surrey branch is based in Guildford, ideally positioned to serve all of South East England. There is a showroom stocked with a large variety of garage doors in all sorts of styles, including roller garage doors, wooden and steel, side hinged or up and over. 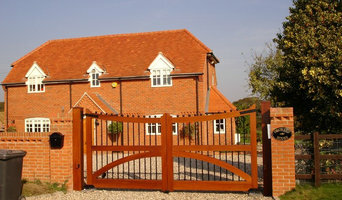 But even those not within easy visiting distance of the Surrey showroom can be served for new door installations. We also offer maintenance packages to keep your garage door in good working order, and can carry out repairs when needed. 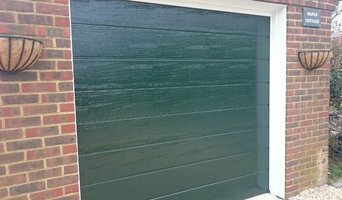 Home Improvement Garage Doors supply, install and maintain garage doors and automated systems around Bucks, Berks and Oxon. Our friendly but professional staff have built up their knowledge over more than a decade and as such, have experience with a wide variety of garage door styles, including sectional, roller and up and over. We our a family business based in the Windsor area installing garage doors and electric gates, Areas we cover our Windsor Weybridge Ascot Guilford Farnham Camberley Bracknell Wokingham Chobham. 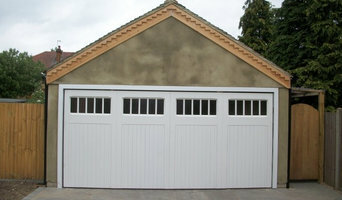 We also repair all types of garage doors and electric gates including intercom systems. ADV Shopfront & Shutter Ltd. is a leading company that provides the shutter and shopfronts in London. We are the manufacturers and installation provider in London. You can get different types of shopfronts with different colors. You can also get curtain walling, bi-fold doors, roller shutters. You can know more about us on our website. Since 1976, Access Garage Doors installed and repaired tens of thousands of garage doors throughout London and Sout East. We work directly with leading garage door manufacturers such as Hormann, Garador, Ryterna and others to bring you a premium garage door installation and repair facility. We offer free site surveys for all new installations. You can visit one of our branches/showrooms for a product demonstration and expert advice. A leading supplier, fitter & repairer of high-quality garage doors, serving customers throughout Kent & the surrounding areas. Offering a wide range of garage doors, ranging from simply front doors to automatic roller doors with thick, insulated cushioning. Each door can be customised to feature manual or automatic operations, as well as various colours & finishes. Give our friendly, experienced team a call today. We're always happy to help. A great contractor for all lock and key needs in Surbiton! Locksmith Surbiton responds at once and offers 24 hour emergency service! An excellent choice for domestic, auto and commercial locksmith! Quick Shopfronts, we design, manufacture and installs high quality and heavy duty Shop Fronts & Roller Shutters and supply throughout the country. Our crew members are professionally qualified. We design, install and maintain Roller Shutters and Shop Fronts with proficiency. From small-scale business units to large-scale enterprises, our every delivered project is a unique example & we offer craftsmanship from beginning till the end and even after the completion of each project. Whether you are decided on a style and material or not, talking to a professional from an Ashtead, Surrey garage door company or garage builders is always advisable because they will know more about the functionality, prices, durability and installation process than anyone else. You may find that you can find a garage doors repairer or installer through another professional, such as a building contractor or architect. Here are some related professionals and vendors to complement the work of garage doors: Cladding & Exterior Contractors, Doors, Home Builders, Design & Build, Artists & Artisans. Find garage door professionals on Houzz. Narrow your search for an Ashtead, Surrey garage door company or garage builders by entering your nearest city or postcode. Look at portfolio and product photos, and read reviews to find the best garage door professional for your home.